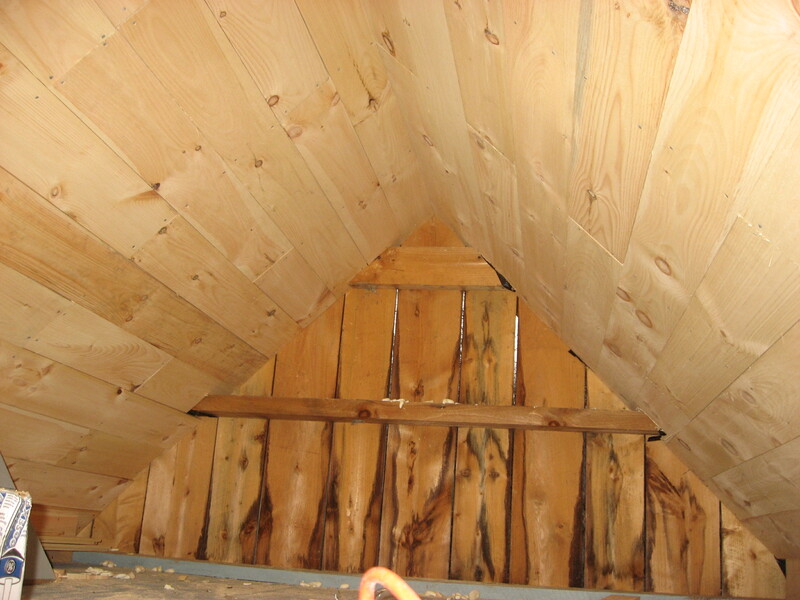 An early shot adding rough cut pine over the insulation. Under the black plastic is 4 inches of Foam board to keep my bedroom warm. one side of the loft ceiling, insulated and lovely! 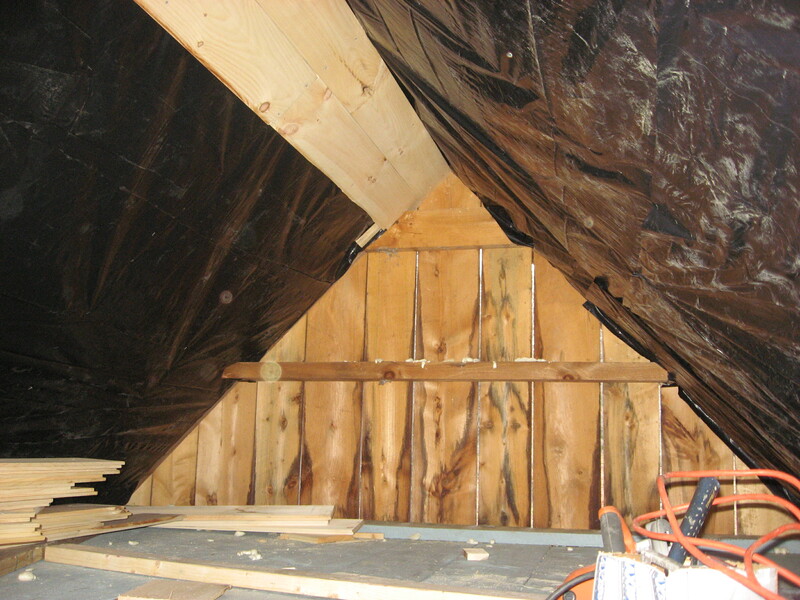 In this photo you can see the one vertical board near the base of the loft ceiling. This provided space to run the wiring upstairs and eliminated a sharp angled corner that’s virtually unusable and just easy to lose things in. 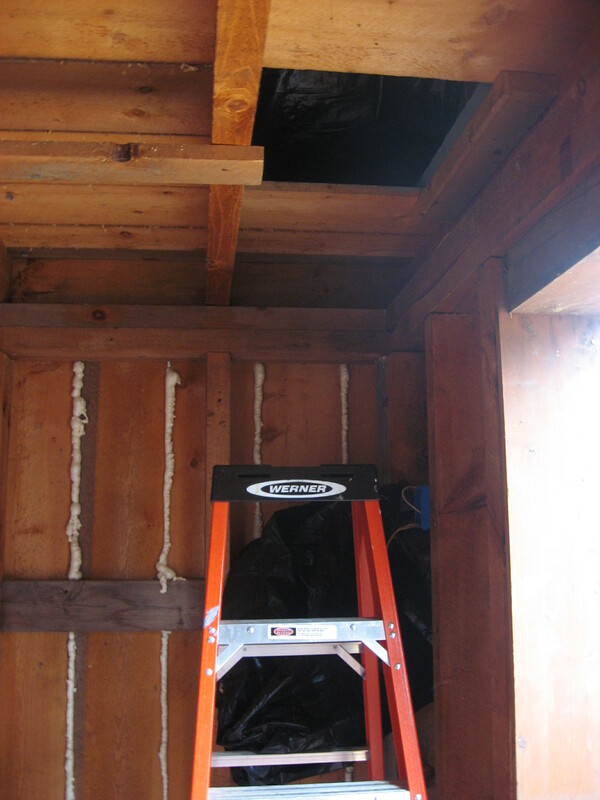 the original loft opening (near the door) which got re-covered since it was an impractical place for the new ladder. One window in, the downstairs is now heated with 6 inches of blown in cellulose, and I have heat! 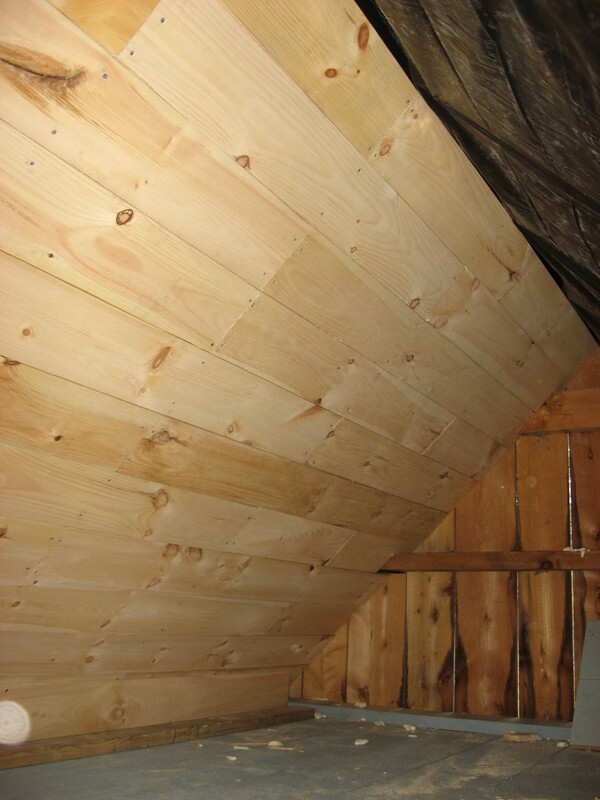 I hemmed and hawed on the steepness of the ladder to new loft opening. Vertical would waste less space but be harder to climb – i ended up matching the angle of my 6 foot step ladder which I know is easy to climb. It’s a compromise I’m happy with. Now how to best use the space behind it? A Bathroom! 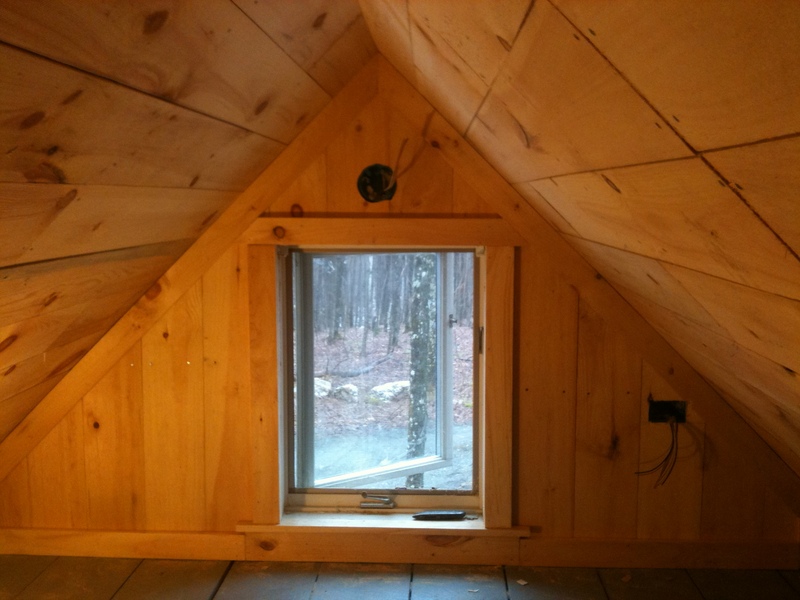 finished loft ceiling, endcap and window! 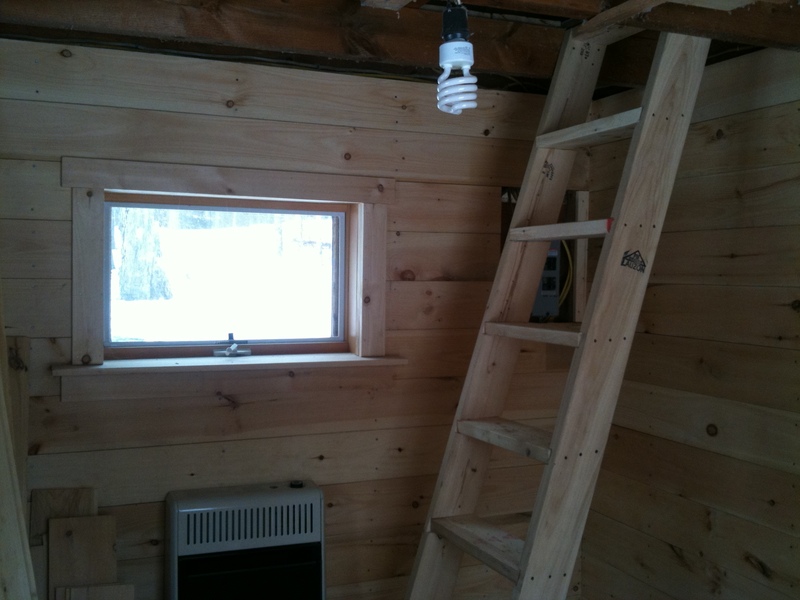 The loft has a window at one end and shelves at the other. Each end has a light and an outlet.